Turn Key Locksmith is the Phoenix AZ locksmith to call for all your lock needs. Honesty, Integrity, & Trust is our Motto. We are your Phoenix mobile locksmith serving the Metro Phoenix Area for your security solutions needs! As a locksmith in Phoenix, our chief undertaking has been to out-perform the standards of the lock industry! We are a Phoenix locksmith that is committed to providing our customers with the highest quality services at affordable prices. Our combination of professional service and reasonable prices makes Turn Key Locksmith the best choice in the Phoenix Metropolitan Area for all your Phoenix commercial locksmith and Phoenix residential lock and key needs. Remember, when looking for dependable residential, automotive and commercial locksmiths you will be pleased with the work Turn Key Locksmith in Phoenix, AZ will do for you, satisfaction guaranteed! When you’re in a jam you need someone fast our Phoenix locksmith service specializes in rapid response Phoenix emergency locksmith services in the Phoenix metro area as well as the surrounding communities. We use a sophisticated GPS system that pinpoints your location as well as the location of our closest available technician. Once we match the technician who can get to you quickly, we send them your way. Typical response time in the Phoenix area is 15 to 25 minutes. When you need a fast locksmith in Phoenix call Turn Key locksmith at (602) 350-6333. At Turn Key locksmith we do our best to make sure our prices are competitive and affordable. When you search the Internet for a Phoenix locksmith in the area you’ll notice a lot of really cheap prices listed. Those prices are almost always for a service fee. That means they’ll come to your location for that service fee but they won’t actually provide the service needed for that fee. If you are in need of a locksmith and you want an honest local Phoenix locksmith give us a call today. If your ever not satisfied with our price or service you are free to give us a call and let us know. We will do our best to make it right. We stock many styles and brands of locks including Kwikset, Schlage and door hardware and more. As a Phoenix locksmith we also cover many other areas here is our service area list. We provide services as a Tempe Locksmith offering all our full services including Tempe emergency lockouts for cars, Homes, Business, RVs, Tempe door re-keying services for home or business including Tempe store front door re-keying for aluminum and glass doors, Complete Tempe auto locksmith services including making a ket for a car when all keys are lost, Tempe transponder keys cut and programed, Tempe car remotes in stock and ready for your use. We are the locksmith in Tempe to call for all your locksmith needs 7 days a week. 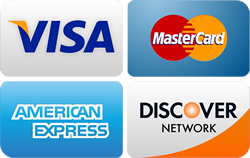 We accept cash or most all major credit cards as payment. We offer services as a Paradise Valley Locksmith offering our full services including Paradise Valley emergency lockouts for cars, Homes, Business, RVs, Paradise Valley door re-keying services for home or business including Paradise Valley store front door re-keying for aluminum and glass doors, Complete Paradise Valley auto locksmith services including making a key for a car when all keys are lost, Paradise Valley transponder keys cut and programed, Paradise Valley car remotes in stock and ready for your use. We are the locksmith in Paradise Valley to call for all your locksmith needs 7 days a week. 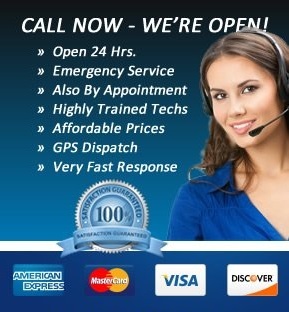 We accept cash or most all major credit cards as payment. Turn Key Locksmith - We are licensed, certified and get the job done right call us for all your Paradise Valley locksmith needs at (602) 350-6333 Your Phoenix locksmith covering your home town. We offer services as a Scottsdale Locksmith offering our full services including Scottsdale emergency lockouts for cars, Homes, Business, RVs, Scottsdale door re-keying services for home or business including Scottsdale store front door re-keying for aluminum and glass doors, Complete Scottsdale auto locksmith services including making a key for a car when all keys are lost, Scottsdale transponder keys cut and programed, Scottsdale car remotes in stock and ready for your use. We are the locksmith in Scottsdale to call for all your locksmith needs 7 days a week. We accept cash or most all major credit cards as payment. Turn Key Locksmith - We are licensed, certified and get the job done right call us for all your Scottsdale locksmith needs at (602) 350-6333 Your Phoenix locksmith covering your home town. We offer services as a Guadalupe Locksmith offering our full services including Guadalupe emergency lockouts for cars, Homes, Business, RVs, Guadalupe door re-keying services for home or business including Guadalupe store front door re-keying for aluminum and glass doors, Complete Guadalupe auto locksmith services including making a key for a car when all keys are lost, Guadalupe transponder keys cut and programed, Guadalupe car remotes in stock and ready for your use. We are the locksmith in Guadalupe to call for all your locksmith needs 7 days a week. We accept cash or most all major credit cards as payment. Turn Key Locksmith - We are licensed, certified and get the job done right call us for all your Guadalupe locksmith needs at (602) 350-6333 Your Phoenix locksmith covering your home town. We offer services as a Glendale Locksmith offering our full services including Glendale emergency lockouts for cars, Homes, Business, RVs, Glendale door re-keying services for home or business including Glendale store front door re-keying for aluminum and glass doors, Complete Glendale auto locksmith services including making a key for a car when all keys are lost, Glendale transponder keys cut and programed, Glendale car remotes in stock and ready for your use. We are the locksmith in Glendale to call for all your locksmith needs 7 days a week. We accept cash or most all major credit cards as payment. Turn Key Locksmith - We are licensed, certified and get the job done right call us for all your Glendale locksmith needs at (602) 350-6333 Your Phoenix locksmith covering your home town. We offer services as a Tolleson Locksmith offering our full services including Tolleson emergency lockouts for cars, Homes, Business, RVs, Tolleson door re-keying services for home or business including Tolleson store front door re-keying for aluminum and glass doors, Complete Tolleson auto locksmith services including making a key for a car when all keys are lost, Tolleson transponder keys cut and programed, Tolleson car remotes in stock and ready for your use. We are the locksmith in Tolleson to call for all your locksmith needs 7 days a week. We accept cash or most all major credit cards as payment. Turn Key Locksmith - We are licensed, certified and get the job done right call us for all your GTolleson locksmith needs at (602) 350-6333 Your Phoenix locksmith covering your home town. We offer services as a Mesa Locksmith offering our full services including Mesa emergency lockouts for cars, Homes, Business, RVs, Mesa door re-keying services for home or business including Mesa store front door re-keying for aluminum and glass doors, Complete Mesa auto locksmith services including making a key for a car when all keys are lost, Mesa transponder keys cut and programed, Mesa car remotes in stock and ready for your use. We are the locksmith in Mesa to call for all your locksmith needs 7 days a week. We accept cash or most all major credit cards as payment. Turn Key Locksmith - We are licensed, certified and get the job done right call us for all your Mesa locksmith needs at (602) 350-6333 Your Phoenix locksmith covering your home town. We offer services as a Sun City Locksmith offering our full services including Sun City emergency lockouts for cars, Homes, Business, RVs, Sun City door re-keying services for home or business including Sun City store front door re-keying for aluminum and glass doors, Complete Sun City auto locksmith services including making a key for a car when all keys are lost, Sun City transponder keys cut and programed, Sun City car remotes in stock and ready for your use. We are the locksmith in Sun City to call for all your locksmith needs 7 days a week. We accept cash or most all major credit cards as payment. Turn Key Locksmith - We are licensed, certified and get the job done right call us for all your Sun City locksmith needs at (602) 350-6333 Your Phoenix locksmith covering your home town. And all of Maricopa County. We are the Phoenix locksmith ready to serve your needs. Call us at (602) 350-6333 or fill out the form and we will contact you.